MGM Studios did not create Oz, people. The Land of Oz first appeared some 39 years earlier in the novel The Wonderful Wizard of Oz by L. Frank Baum. Baum wrote 14 other Oz books (13 novels and a collection of short stories), and then other writers took his place after his death, stretching the “official” Oz canon to 40 novels before it finally came to a halt in 1963 with Merry Go Round in Oz. After that, the earlier novels began to lapse into public domain, and since that time hundreds — actually, probably thousands — of writers, artists, actors, songwriters, and creators of all types have joined in the fray to create their unique visions of Oz. As magnificent a film as the 1939 Wizard of Oz is, as perfect as the music is, as brilliant the color and visual appeal of the film, here’s something people just don’t admit often enough: it’s not really a very good adaptation of Baum’s work. The tone is very different, many key sequences are omitted, and other things are changed for various reasons. There is, in fact, only one thing I would argue the MGM film does better than the Baum original, and that’s increasing the role of the Wicked Witch. Baum’s biggest weakness as a storyteller (I say as someone who has read all of his Oz novels and several of his non-Oz books) comes in his antagonists. 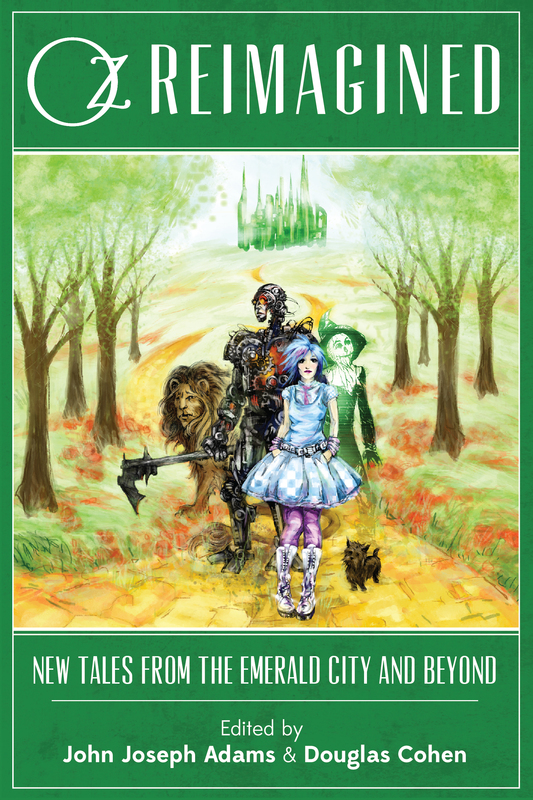 Many of the Oz books are just a group of characters (often, but not always including Dorothy and her friends) stumbling from one adventure to another with little motivation except to get where they’re going (often, but not always, the Emerald City). The villains are often an afterthought, and rarely truly terrifying, with the one exception of Roquat, the Nome King. Margaret Hamilton’s version of the witch was not only iconic, but a vast improvement over the relatively minor character she was in the original novel. But it still wasn’t the “original,” as so many people say. Hell, if we’re going to get technical, the Judy Garland film isn’t even the original movie version of Oz — there were several silent films in earlier years, including some written and directed by L. Frank Baum himself, that depicted a vision of the land of Oz that’s very different from the world most people today are familiar with. But for all of the changes and alterations between the film and the novel, I’m okay with that. You see, there are basically two schools of thought when it comes to creating new Oz stories. There are the creators who try to remain as faithful as possible to Baum’s universe, giving us new adventures in a world that feels like it could seamlessly fit with that Baum created. These books exist to expand upon Baum, giving us new characters and locations, but also presenting new adventures of our old friends like Ozma of Oz, the Hungry Tiger, the Sawhorse, Tik-Tok, Jack Pumpkinhead, Billina the Yellow Hen, the Shaggy Man, Polychrome, Professor H.M. Wogglebug, T.E…. Sorry, you were all thinking of Dorothy, the Scarecrow, the Tin Woodsman and the Cowardly Lion, weren’t you? They’re in there too, don’t worry, but even Baum went far beyond those four characters. And in books and comics like these, we see all of them in stories that feel like they belong with the original “Famous Forty” books of old. Eric Shanower, for example, creates novels and comic books in Baum’s world, sometimes alone, sometimes illustrating the work of other writers like Edward Einhorn. 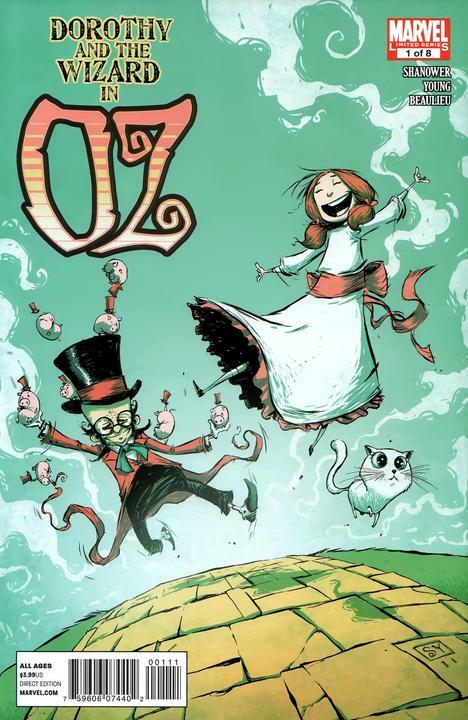 More recently, Shanower has been adapting the original Oz novels into comic books for Marvel, with magnificent artwork by Skottie Young (to the left of the above image), which doesn’t fit the original art as well as Shanower’s own (shown to the right), but is a beautiful vision of Oz nonetheless. Some of the creators in this group even go so far as to meld Oz with worlds of their own creation. Stephen King I’ve already mentioned, but one of the Oz Reimagined shorts takes place in the Oz simulation of Tad Williams’s Otherworld science fiction novels. Bill Willingham has incorporated the characters into his Fables comic books, and we’ve seen visions of Oz mixed up with such diverse casts as the Muppets, Tom and Jerry, the Veggietales gang, the Justice League, and several stories that have mixed together the denizens of Oz with the characters of Lewis Carroll’s Alice in Wonderland and Alice Through the Looking-Glass books. And the thing is, there’s plenty of room for both schools of thought. I love seeing what new creators can bring to Baum’s world (you may even remember my review of Einhorn and Shanower’s Paradox in Oz from a few years ago). I also love seeing what the likes of Maguire and Tirotto and countless others can create from the mythology Baum gave us. 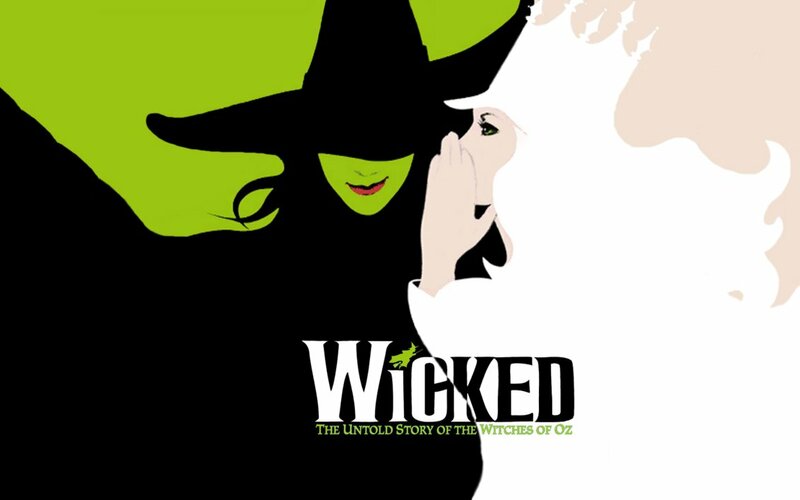 Oz is a world that’s simply too big for there to be any one version of it, that’s part of the magic. That’s one of the things I love about it. Now if I come back and I think Oz the Great and Powerful stinks, I’ll admit it. I’ll tell you everything I think is wrong with it. But if that is the case I can promise you this much: it won’t be because director Sam Raimi dared diverge from the world Judy Garland landed in. 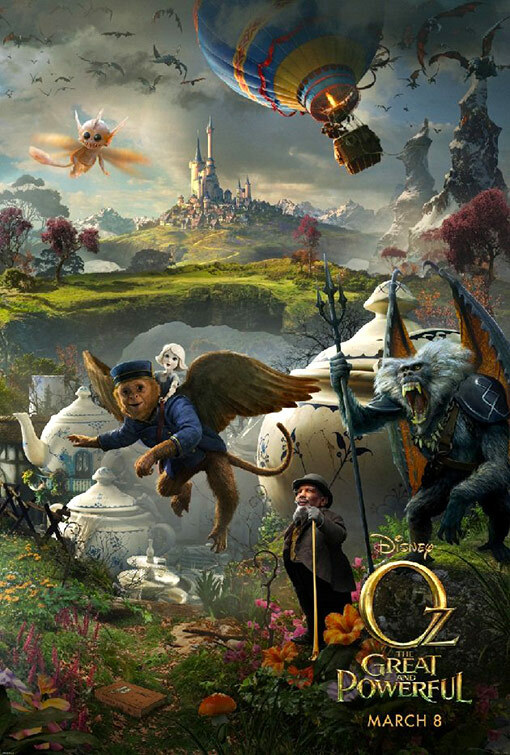 But if it is good… the hopes for a new Oz renaissance is thrilling to me. More visions, more images of Oz… yes, a lot of it will be sad, tired drek, but that’s true of any cultural movement. I’d rather see people try and fail to live in the world of L. Frank Baum than give us another Twilight rip-off (or worse yet, another Fifty Shades of Grey). And if Disney goes ahead with the sequel they’ve already proposed, even before the film opened yesterday, even better. In fact, I hope they’ve got the guts to go all the way and do an adaptation of the original novel in their land of Oz — an adaptation which, from everything I’ve seen so far, would probably be more faithful to Baum than the Oz Judy walked through 74 years ago. And thus I leave you with one more point, a visual this time… just a few of the many, magnificent, valiant, viable visions of Oz. For one week only, get The Beginner FOR FREE! So you’ve read Other People’s Heroes. Loved it. Devoured it. Built a little shrine to V3OL in your garage. Awesome. And I love you for it. But have you tried out any of my other work? The Beginner, for instance? 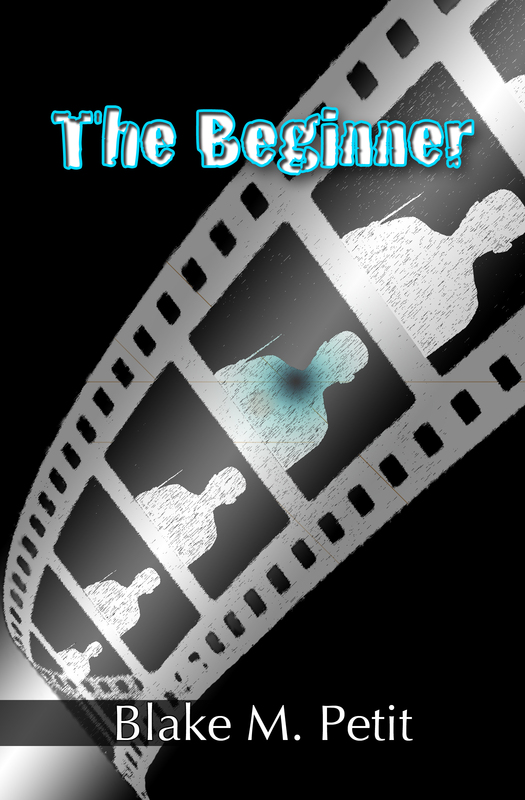 The Beginner is a dark fantasy about a filmmaker who begins to notice people vanishing from the set of his latest film… and when those people vanish, the ones that remain forget they were ever there. It’s different from OPH, but it’s a book I’m proud of. And for the next week, it’s FREE at http://www.Smashwords.com. That’s right, folks. From now until May 1, use the promo code VF55N at checkout and you can download the book absolutely free in any eBook format of your choosing. Get it, give it a read, and, most importantly, tell people what you think. That’s why I’m doing this, guys — I want to help spread awareness for The Beginner as I get closer to launching OPENING NIGHT OF THE DEAD, my next book, hopefully some time in May. Opening Night is set in the same universe as The Beginner, and I’d really like to get the word out. So if you get the book for free, my little gift, I AM making one humble request. If you like it, please, review it. Drop a review at Smashwords, at Amazon.com, Barnes and Noble, the iPad store — or all of the above. Reviews are an enormous help when these online stores generate search results and sales lists, and every review you write for one of my projects helps all of them get seen by more people. So please, check out The Beginner this week — totally free, from me to you. And if you’d be so kind, once you’re finished, tell people what you think. More availability for THE RESTLESS DEAD… and info on future projects. Halloween is over, guys, but the stories still linger. 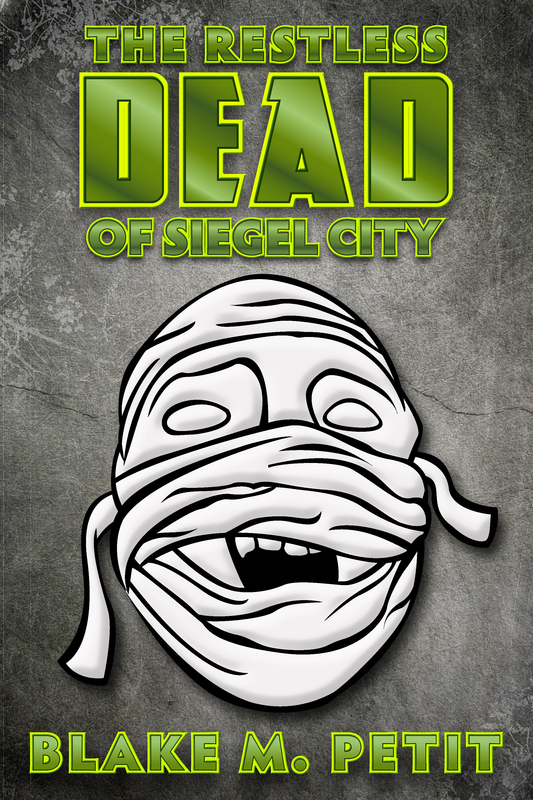 My short story, The Restless Dead of Siegel City, is now available in both the Barnes & Noble Nook store and in the iPad bookstore (just do a search for my name), for those of you who have those devices! This, of course, is in addition to its Amazon Kindle release. And all versions of this eBook are just 99 little cents. This, of course, is merely the latest addition to the Blake Petit eBook Library, which also includes the $2.99 novel Other People’s Heroes (available for the Kindle, Nook, iPad, other readers, OR in a $15.99 paperback), the $2.99 novel The Beginner (available for the Kindle, Nook, iPad, other readers, OR in a $13.99 paperback), and my anthology of Christmas short stories, A Long November ($2.99 for the Kindle, Nook, iPad, and other readers). So that’s everything I’ve got currently available. You can pretty much buy my entire library for a mere ten bucks. Can Stephen King say that? And once you’ve read these books — or if you’ve already read them — PLEASE take a couple of minutes to write a review on Amazon, Barnes & Noble, or the iPad store. Reviews really help boost the status of the book while people are browsing and make it much more likely that new readers will stumble upon the awesomeness to which you, my dear friends, are already accustomed. But what about the future? I’ve got an awful lot in the works right now, and while fans of my new Facebook Author Page already know all of this (please, drop in and give me a “like” there), I’m about to tell you guys what I have planned for the rest of this year and for 2012. Every year I write a Christmas short story, and this year will be no different. I’ve already started working, in fact. Now that I’m doing the eBook thing, though, I’m probably going to do it a little differently. I’ll still post it online on Christmas Eve, but earlier than that I’ll offer it as a free eBook for a limited time — it is, of course, a “Christmas Gift.” But come January 1, it’ll go to my standard short story price of 99 cents. In 2012, I’ve got no less than four projects I intend to bring to the Kindle and other devices. LOST IN SILVER is my young adult novel, the tale of four children who set out through a plane of infinite universes to find a brother who has been kidnapped. OPENING NIGHT OF THE DEAD is a horror/comedy. What happens when a zombie outbreak takes place on the set of a zombie movie? At Halloween? How do you know who to shoot? And what do you do when one of them just WON’T DIE (again)? If you read my month-long STORY STRUCTURE project, you know it’s the first draft of my first nonfiction project. I intend to add 15 more articles to the collection, bringing it to an even 50, and then release my look at horror as a $1.99 eBook. And then I’ll choose a different genre and do another round. I could easily see this becoming an annual thing. Oh yeah. And also in 2012 you can expect to see 14 DAYS OF ASPHALT, the sequel to OTHER PEOPLE’S HEROES, in which Josh Corwood sets out on a cross-country tour to find someone who’s lost, we encounter new friends and new enemies, and the path of Josh’s future changes dramatically. So stick around. Keep checking the Facebook page. Feel free to ask questions and joke around, because that’s really what I want to do here anyway. And in the meantime, keep reading. My project for this weekend will be getting the final version of The Beginner ready for you guys. The text is done, the cover is done. All that remains is to format and upload everything to the assorted websites I use to sell Other People’s Heroes: that means Kindle Direct Publishing (for you Amazon Kindle users), Smashwords.com (for you folks who use all of the other eReaders) and CreateSpace (for anybody who likes an old-fashioned paper copy). Like Other People’s Heroes, this will be an edited version, but this one won’t be as heavily edited as OPH was. No new scenes, very few changes to the copy. Mostly it’ll be a matter of copy editing and polishing. Like OPH, though, I’m planning to throw in a little bit of bonus content. In the case of The Beginner, I’m going to include one of my Christmas short stories, “Promise,” which longtime readers will know has a very direct connection to the events of this novel. And, like OPH, it’ll all be for the low, low price of $2.99. Well… the eBook will, I’m not sure what the price point will be for the paper version yet. But I’ll keep you in the loop. Spread the word! I’ve been talking about it for a few months, friends, and very soon it’ll be available as an eBook and through CreateSpace, just like Other People’s Heroes. Allow me to share with you (courtesy of Heather Keller) the preliminary cover design for the second edition of my second novel, The Beginner. Not bad, eh? This week the final Harry Potter film is in theaters, so to prepare, Blake and Kenny sat down and watched the entire seven-film saga in a Showcase marathon! The guys chat about each movie, then meet up with Mike at the movie theater to see the grand finale in Harry Potter and the Deathly Hallows Part 2. In the picks, Kenny goes with Green Lantern: Emerald Warriors #11, and Blake takes The Red Wing #1. Contact us with comments, suggestions, or anything else at Showcase@CXPulp.com! Evidently, last night’s midnight release of the eighth and final Harry Potter movie, Harry Potter and the Deathly Hallows Part 2, broke a record or two. I’m not surprised. In the 14 years since the first book came out, it’s become a cultural phenomenon like few other things of our time, no matter how many other book series hope to replicate its success. I haven’t seen it yet — Kenny and I have been having a marathon of the other films for the podcast, accompanied by my LiveTweeting of the movies as we watch. I’ll post the transcripts of the tweets for you guys after we finish — we’re still on Half-Blood Prince as I type this. We’ve got our tickets for tomorrow. And we’re psyched. But Id’ be lying if I didn’t say part of me is a little sad to see it all come to an end. At least until I can get to Universal Studios in Orlando.